Tomorrow is the biggest online sales day of the year at Mission Repair! Hello friends, it’s Sunday evening, and you don’t want to miss the Cyber Monday sales! It’s the night before our BIG Cyber Monday Sale and we’re releasing our “never-been-so-low” specials to you, our Newsletter Subscribers, before the rest of the world. Cyber Monday is tomorrow we’re giving you a sneak peek! We are geared up for our busiest day of the year and it never disappoints. So stop by one of our walk-in locations or place your order online while this Cyber Monday Sale lasts! Now is the time to get that cracked screen repaired or non-functioning battery replaced. We have over 50 products marked down on our website and this sale only lasts Monday, December 1st, 2014. No coupon necessary! Any questions? Give us a call at 866-638-8402! I’ve heard a little rumor going around about a lot of retailers are talking about Black Friday in July- and it’s coming up this Friday the 25th! Click this image to signup for our newsletter that will post some amazing deals later this week! The day After Thanksgiving (Friday) is known as Black Friday. This also typically starts the holiday shopping season. Almost all stores come out with blockbuster sales and specials and early bird specials to attract consumers to their stores. People can stand in line hours before store is opened just to grab the bargain of the year. Almost every store has something that interests every one. For bargain hunters black Friday might be their biggest festival of the year. So why is there a Black Friday in July? I think it was developed by retailers to give the bargain minded consumer another chance to get a great deal half-way through the year instead of waiting for the turkey to wear off. So we’re joining in! Yes, Mission Repair will have some amazing never-before-seen-so-low specials this Friday 7/25/14. However we will only share them via our newsletter so you need to sign up now to get the savings! Stay tuned – our first Black Friday in July is coming this week! Oh The Weather Outside Is…Well, Not That Bad. November is gone and it is now time for December. Time for snow storms, icy roads, salt melt and hot chocolate… you would think. For the first 2 days of the month, it has felt more like spring than winter. Today we will see a high of 61 and tomorrow 62! However, come Thursday, we will feel the full wrath of winter and enjoy our first snow of the year! I guess thats what you get when you choose to lice smack dab in the middle of the map. How about 22% off of this service? So with the stars of a new month means the stars of a new “Deal Of The Month”! We offer a new deal all month long on one repair service and it is certainly popular! This will be no different, however, with out Cyber Monday Deals that we have going on today, I don’t want to release this months deal today. 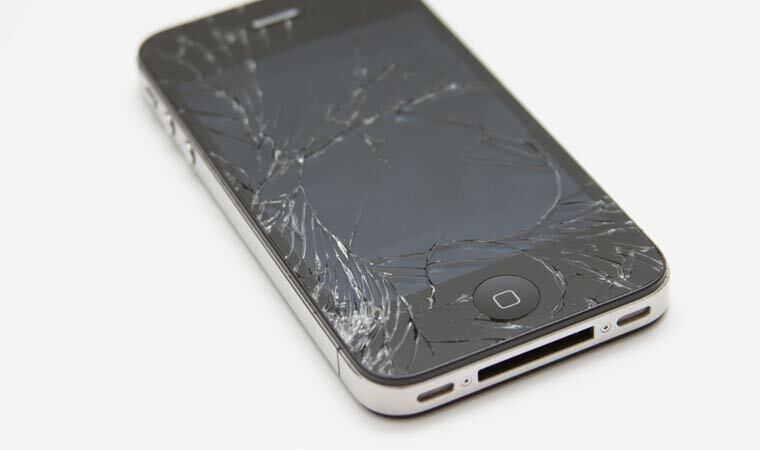 In its place, I will add to our Cyber Monday deals with a special 1 day only deal on the iPhone 4S screen repair services! Click one of the above links to save 22% on the repair service today only! That is actually 2% more than any of our other Cyber Monday deals! Cyber Monday – what is it? Hello friends – we are gearing up BIG TIME for Cyber Monday – the biggest day of the year – here at Mission Repair. So what is Cyber Monday? (in the US) the Monday following Thanksgiving, promoted by online retailers as a day for exceptional bargains. Here at Mission repair, we are no exception! We will be having out biggest sale of the year and over 50 services and products will be at never seen low prices! Will you do your Cyber Shopping on Monday? Well if you do, you’ll be getting the best deals at Mission Repair on that day. Need an iPhone repaired? iPad cracked? Help with your MacBook? All the best deals and the years lowest prices will be available on many of our most popular repairs. Want to know what will be on sale first? Sign up for our periodic newsletter which will arrive in your email inbox Sunday evening! This Week @ Mission Repair…But first! We have a great week of events coming up this week, but before I start talking about the ongoings here at Mission Repair, I wanted to share a great experience that I had over the weekend. As we have mentioned in the past, Mission Repair has been partnering with the Kansas City Chiefs on a few projects and with this partnership, came a few perks that we enjoyed this past Sunday! We attended a great game that matched KC up with the San Diego Chargers. We enjoyed some great food, drinks and company. While the game didn’t end with a KC victory, this is a memory that will last forever. As you can see, through this holiday week, there will be plenty of opportunity so save some money on your much needed repair service! So give us a call, come on in or visit www.missionrepair.com today! It’s been a fun week! Here’s the final video blog of the Halloween week announcing the remaining 2 final winners from yesterday’s Halloween repair give-away! Well, that’s a wrap on our first week of video blogs, so if you liked them…”like” them on FaceBook or send me an email so we can be sure to do more in the future. Until then, have a great weekend and there’s a lot more to come this month. Trust me. It’s still Cyber Monday – but it feels like it’s Friday already. Wow, it’s just now about 6pm on Cyber Monday, and what a day this has been. I have projects stacked up behind me. . .and they all had to wait due to the enormous amount of calls and new customers we received today. In fact, we’ve already broken every Mission Repair record to date including number of orders taken in a single day, number of phone calls, number of walk ins and number of repairs- and we still have 6 hours to go in this miraculous Cyber Monday event! So we are still here – and we are open extra late tonight. Normally we close at 6pm, but doors are open and the phone system is still rocking. We have several representatives answering live so if you’re in need of an iPhone repair or if it’s time to get that tablet screen repaired, make your move now. Let me help you out a bit – we are offering FREE shipping on your repair (to anywhere in the USA!) and we also have a Cyber Monday coupon code available. Just use “cyber12” when you checkout online and it’ll save you an additional 12% of your entire order total on this 2012 Cyber Monday! Remember that this coupon expires today! Ok, I have to get back to the phone system now and we’re coming back to you with more goodies and info from all of your friends at Mission Repair very soon.